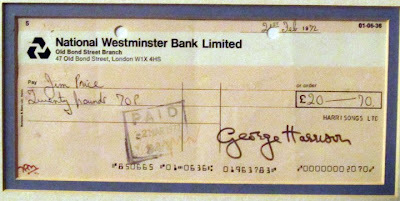 This Harri Songs Ltd cheque dates from February 1972. It is for £20.70 and made out to a Jim Price. 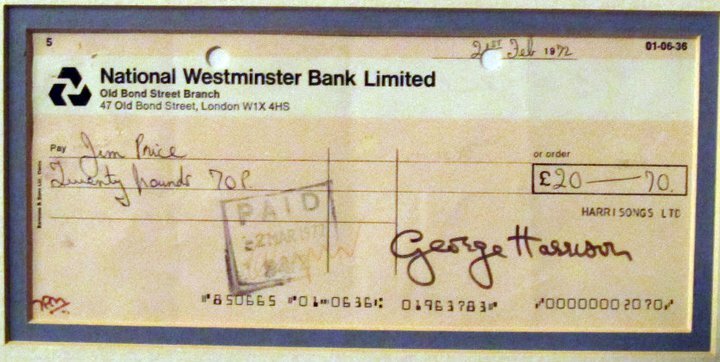 It is signed on the bottom by George Harrison.